1) Who among the following was appointed as the new chairman of Sangeet Natak Akademi on 29 January 2015? 2) Which country was confirmed as the host for the 2016 Twenty20 World Cup recently? 3) On 28 January 2015, nation paid tributes to which national martyr of freedom movement on his 150th birth anniversary? 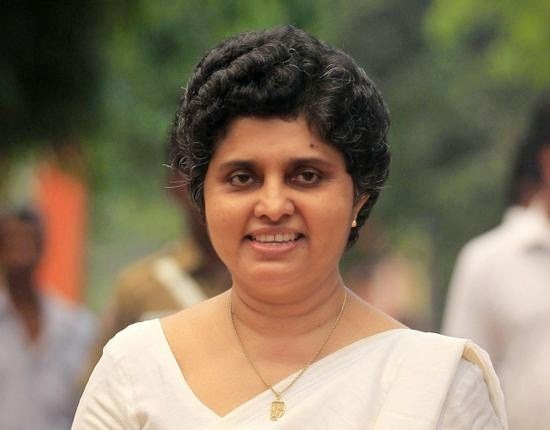 4) Shirani Bhandaranayake, who was reinstated by the new government led by President Maithiripala Sirisena on 28 January 2015, was the first woman Chief Justice of which country? 5) Who has assumed charge as the new Chairman and Managing Director of National Research Development Corporation (NRDC) recently? 6) Nation on 29 January 2015 paid rich tributes to ______, who was martyred in an encounter with militants a day after he got his gallantry award on Republic Day? 7) Which Messenger service has recently rolled out free voice-calling, a month after its first acquisition of a free calling app - Zip Phone? 8) Kalyan Singh took additional charge as Himachal Governor on 28 January 2015. He was originally the Governor of which state? 9) Which company reported quarterly profits of $18 billion on 27 January 2015 which is the largest profit in global corporate history? 10) Veteran actor Mala Aravindan who passed away on 28 January 2015 is from which industry?